*This Adventure is available from April 3rd 2017 – December 23rd 2017. 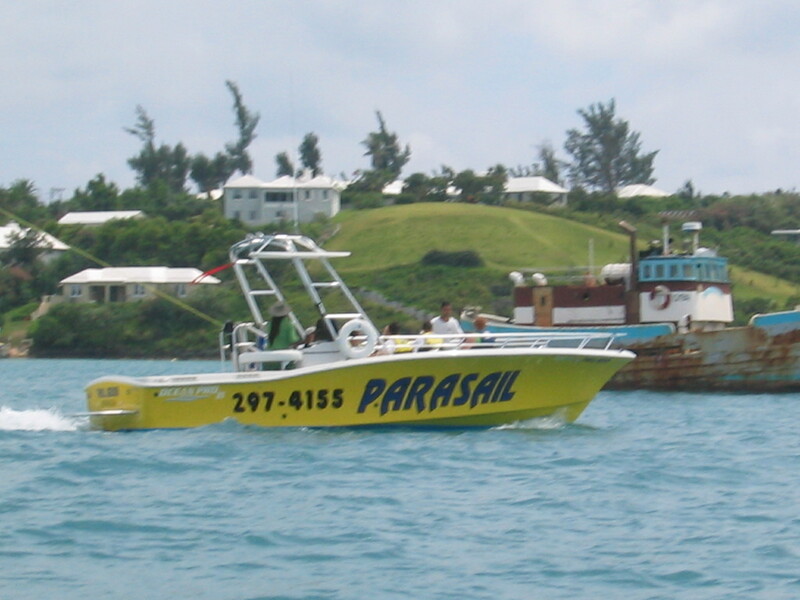 Join us for an exciting Jet Ski Adventure around the incredible and beautiful eastern end of the island. 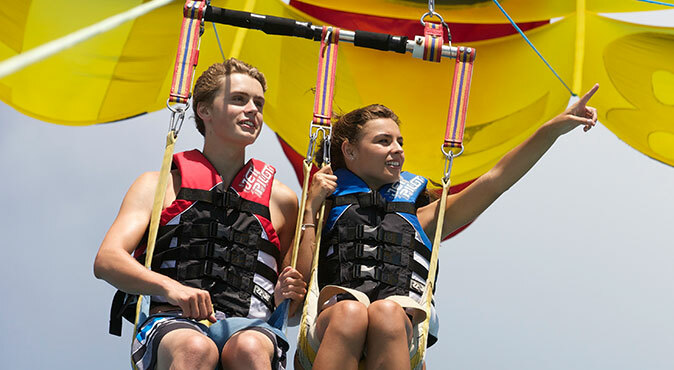 This high-speed guided tour is 75 minutes long and is suitable for people of all ages and skill levels. 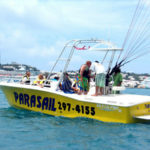 This tour departs from the historic town of St. George’s, also known as a UNESCO “World Heritage Site”. Leaving the pier we head through St. George’s harbor and towards the Ferry Reach area. 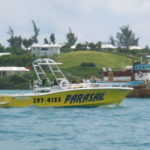 Ferry Reach is located on the back side of the Bermuda International Airport and is home to many sea turtles and marine life. From there we head under a low lying bridge and into the Castle Harbor area, where all the spectacular sites begin. We take you past “Billionaire’s Row” an exclusive neighborhood which is home to many of the rich and famous. These homes are the best of the best, and range anywhere from 10 million dollars all the way up to 55 million dollars. Wow! Our next stop takes you to the brand new Tuckers Point Club & Resort, Bermuda’s premiere five star hotel and golf course. This hotel was completed in 2009 and is truly an impressive site to see. 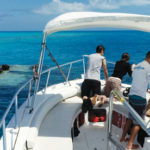 From here we throttle up and make our way to a secluded pink sandy beach area where we stop off and go for a short swim. This secluded beach area is historic and breathtaking in itself, and is shown on numerous post cards and artist drawings around Bermuda. This area is also completely surrounded by Bermuda’s oldest forts, which were built in the late 1700’s. 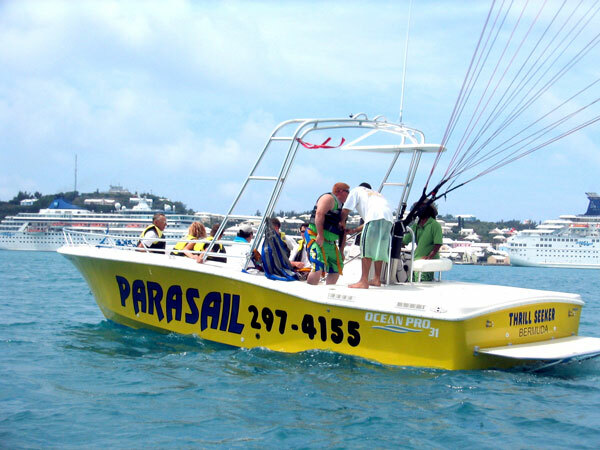 Here you will also see hundreds of Bermuda Longtails who migrate to Bermuda during the summer months. 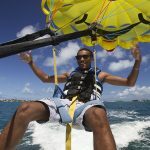 After you cool off it’s time to get back on board and open it up on the way back to St. George’s. 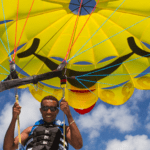 This Adventure is perfect for families, friends, couples and the solo person who seeks fun and adventure on their vacation. All reservations should be made in advance (highly recommended), we accept MasterCard, Visa, and Amex card for advance bookings. 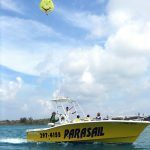 Please contact us at (441)-297-4155 or click on the Book Online button to book your “Jet Ski & Swim Adventure, East End Tour”. 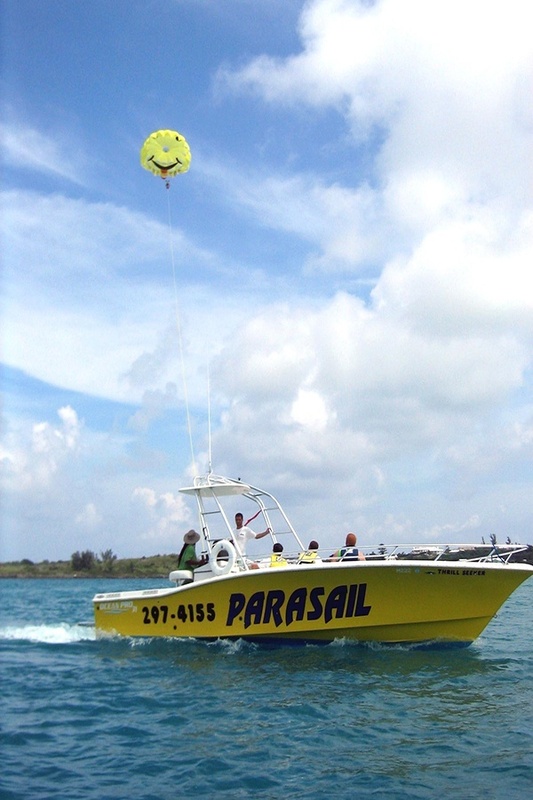 Tours and routes may vary depending on weather and sea conditions. 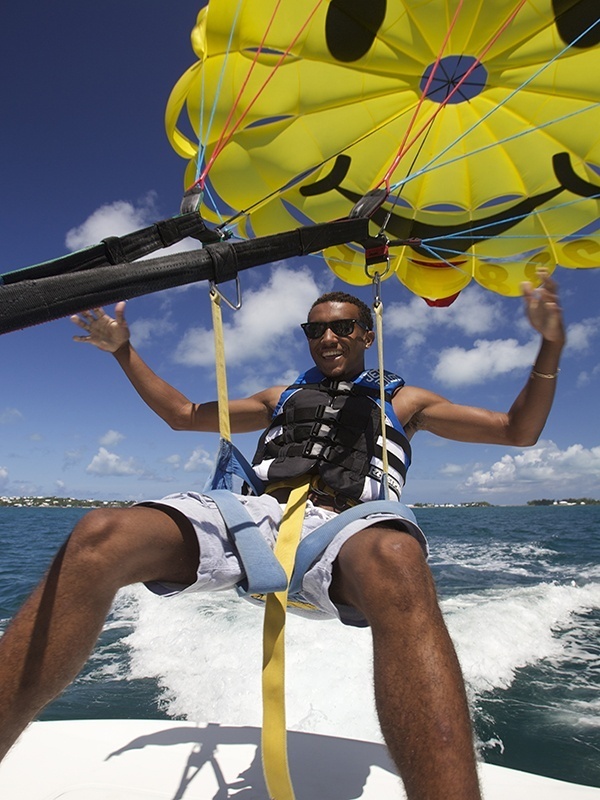 Participants must be at least 16 years of age (by Bermuda Law) to drive a Jet Ski. Any age to be a passenger. Each ski has a combined maximum weight limit of 375 lbs. The K.S. 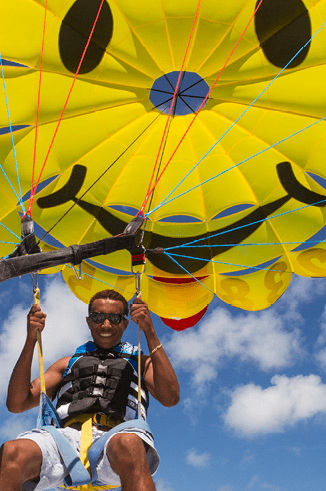 WaterSports Jet Ski & Swim Adventure is not recommended for persons with limited mobility. 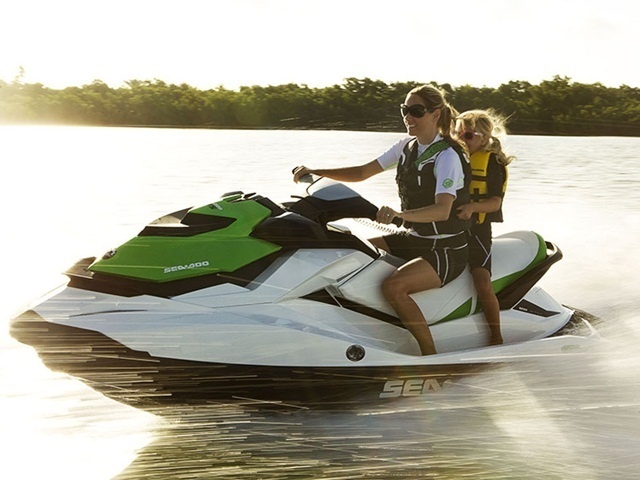 (Just for knowledge: Jet Ski’s in general are meant to be driven at speeds of 30mph and above so you can better steer and control the Jet Ski on the water. 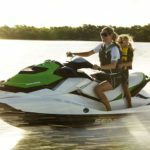 First time drivers and persons who have not driven a Jet Ski for a long time should avoid carrying passengers that put them close to the maximum weight limit allowed per Jet Ski, which is 375lbs. Even though all our 4 Stroke Yamaha & Seadoo Jet Ski’s are three seater models and are very stable with passengers, Jet Ski’s are normally much more fun and easier to control especially for beginners and non-experienced users when driving as a Single, meaning with no passengers).